A few weeks after Gov. Chris Christie signed the gambling bill, the most important players are already fighting each other for supremacy in New Jersey. Although nothing is certain yet, everyone wants a slice of the potential cake and the competition is just as intense among online software developers and online gambling divisions. On one hand, Microgaming and Playtech powered casinos hope to be the first to introduce their mobile live dealer games and serve the hungry American audience. On the other hand, major players such as Caesars Interactive and Rational Group are at each other’s throats trying to outshine the competition from the very beginning. The first company enjoys the protection of the Las Vegas land-based casino titan while the other is the parent company of PokerStars. Both of them are the uncontested leader in their niche and they have pretty big guns in their arsenal that they are ready to use if necessary. Caesars claims that their bigger competitors shouldn’t be allowed to enter the market after bluntly ignoring legislation a few years ago. They claim that PokerStars have no hesitations in exploiting every loophole it could find in the law and even go around it when nothing else worked. 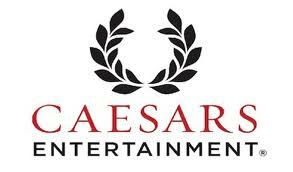 Now that the poker company has purchased Full Tilt poker Caesars Entertainment has an even larger target to throw at. In the opposite camp, PokerStars claims that everything it did in the past was absolutely legal and highlights the fact that the acquisition of Full Tilt poker was a transparent process. With the US Department of Justice overseeing the transition and giving green lights, they claim that there is nothing wrong about this acquisition. They plan to enter the market by purchasing Atlantic Club and have already submitted the necessary application, that the New Jersey Division for Gambling Enforcement will now investigate and come up with a report in no less than 90 days. The commission could either accept the application or dismiss it and PokerStars will have very little to do if the worst-case scenario becomes a reality. Among its fiercest detractors is the American Gaming Association, with this organization bringing new arguments on the table each time it had the opportunity. The stakes couldn’t be higher and these preemptive attacks could be only the tip of the iceberg and a mild prelude of a more aggressive battle that could last for years. There are two directions that software developer Playtech is recently pursuing, with one being to expand its collection of online slot games. Funky Fruits is the latest addition to an otherwise impressive list, and the new game features an innovative structure that the company calls Chain Reactor Game. The other thing that Playtech is concerned of, is to make it easier for those who fancy live dealer casino games and the company has took significant steps into this direction. The article at http://www.slotsguidance.com/mobile-live-dealer-casino-games-by-playtech/ highlights the fact that the company has gone beyond the call of duty and explores new possibilities. Many of its users are up to date with technology and use mobile devices to go online and play their favorite games, which explains why most new releases are made compatible with mobile gadgets. 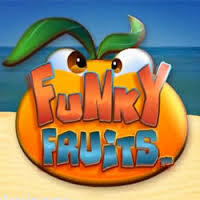 Funky Fruits makes no exception and regardless of what platform players prefer, this slot game will rise to the challenge. This five line slot game will reward those who manage to create winning combinations with five or more identical symbols. There are six fruits that will appear all over the reels as follows: pineapple, plum, orange, lemon, watermelon and cherry. The more symbols take part in a winning combination, the more generous the multipliers will be, and the prizes also vary depending on how much the player chose to wager. The type of fruit that participates in these combinations also affect the payouts, with the lemons awarding the highest amounts that can go up to 5000 times the stake. Whenever the player hits a winning combination, all the fruits that made it will explode and their remains can result in new payouts. Players enjoy all the popular Playtech features including the Auto Play function, which allows them to push their gaming experience into overdrive while reducing their involvement. There is also a progressive jackpot in store, and the luckiest Funky Fruits players can hope to win 10,000 times more than their initial bet. The progressive jackpot is triggered by a winning combination of cherries, with any number between eight and 25 such symbols being required. In order to win the top prize, a player has to wager the maximum amount while those who place lower size bets will only collect a fraction of the jackpot. The interface is user-friendly and should enable newcomers to enjoy the game right away, without the need of going over a comprehensive tutorial.